What If You Could Customize Klout to Match Your Definition of “Influence”? How come I can’t decide for myself what influence on the web means to me? Who died and left Klout king? This isn’t just the sour grapes ramblings of someone with a Klout score of 48, but a serious question with serious societal implications. For those of you who don’t know Klout, it’s a social media analytics company with a tool for measuring people’s influence on Twitter, Facebook and other social networks. It’s a simple idea – and a good one: a mirror for comparing how popular…er, I mean, how much influence we have relative to others. For whatever reason, I haven’t tended to pay that much attention to my Klout score, but last month, while on a long road trip with my wife and kids, I did happen to look at my Klout score and noticed it had dropped significantly while I was away. Klout punished me for taking vacation and not being online. Great, now we have another hamster wheel in our lives. It got me thinking about the fact that I really don’t understand how Klout’s scoring algorithms work. It also got me wondering why some small handful of people in this company were deciding which specific mixtures of influence factors really mattered – and why that decision wouldn’t be better left to me. This morning, looking at an exchange on Google+ between Jeff Sayre and William Tozier, I realized I wasn’t alone. They too, were thinking about a better approach. Imagine if all this worked a little differently. What if a tool like Klout gave me my own set of slider bars so that I could set my weightings on various influence factors that I think are important. By moving the sliders, the lists of people I’m connected to dynamically adjust, re-ranked based on the particular weightings I’ve assigned. Want to see who’s got the biggest following? Zing. Who generates the most conversation on Twitter? Zing. On Google+ (once the API comes out)? Zing. Just adjust the influence tuner. Where it gets really interesting though is when I start mixing and matching my own variables and combining them in interesting ways using something like a Wolfram Alpha calculator widget. I might want to combine someone’s retweets on Twitter with their likes on Facebook, or I might want to divide someone’s Twitter follower count by their total “mentions.” Who knows what I might come up with? Network analyst, Valdis Krebs has an interesting “LFR score” that would be a breeze to implement with something like this. So it’s not just amateurs like me who might come up with interesting influence composites. Pros like Valdis might dig in and help us all by developing a whole range of different measures. Pros and amateurs could make their influence measures available for others to use. They could name them too, and they would spread and become popular, based on how useful they were to different people in different situations. Yes, what I’m talking about is a marketplace for influence indicators. Competition is a good thing. Transparency is a good thing. Diversity is a good thing. Here’s the thing. I’ve got nothing against the folks at Klout. I think it’s great that they came up with a more nuanced set of influence measures than the simple popularity contests of who’s got the most Twitter followers or Facebook friends. On that measure, they’ve shifted our social media behavior in positive directions. My problem, and why this really matters, is that the Klout score is now transforming into something that closes more doors than it opens. Mark Schaefer relates some disturbing anecdotes about hiring decisions, conference invitations and real world social circles being determined by people’s Klout scores. I’m not some wild-eyed idealist. We use proxies like Klout scores, job titles and where we went to school to help us quickly separate the wheat from the chaff when it comes to investing our personal and institutional time and resources. It’s human nature, and it’s tied to some very deep social programming going back hundreds of thousands – probably millions – of years that keeps us fascinated with stack ranking ourselves against one another. Klout is just the latest, high-tech version of these tendencies flaring up again. But that doesn’t make it good or the kind of behavior we should be reinforcing with the new set of tools now available to us. We are capable of so much more nuance than this. We are capable of something better – something more soulful and human – something that fits more closely to the truly diverse and complex nature of our relationships to the various people in our lives. Perhaps without even realizing it themselves, Klout has created a new rat race, a new hamster wheel. I don’t like how that made me feel when I was on vacation. I don’t like the fact that their algorithms are developed behind close doors. And I don’t like the simplistic notion that one score can capture all the various subtleties of influence that each of us carry around in our heads. An influence tuner would address at least some of these problems. Though it’s important to note that it still doesn’t do anything to prevent the digital divide from becoming even more entrenched as a gate keeper to social mobility. Someone is going to come up with a tool that does this. Hey folks at Klout – will it be you all? Or will you just be the “Klout” settings on some new upstart’s new (and more popular) service? Gideon, absolutely agree. The explanation is that Klout is built for marketers, not for individuals. It measures the type of activity that it wants to identify…and that its clients want to identify. Mass marketers are looking for people who will rapidly spread (advertising) impressions to a broad audience. I think there is actually an alternative to these types of proxies in what I have occasionally referred to as “peripheral awareness” (there may be other terms). Proxies are useful/necessary when we are forced to make rushed decisions. Should I click subscribe or not? Well, how many other people subscribe? How many people follow you? How often do you get tweeted? We quickly scan this information and make a snap judgement. However, as systems become more open, fewer decisions need be rushed. If I don’t subscribe today I can always subscribe tomorrow. If I don’t buy today I can buy next week or next month. In this sort of environment potential connections begin as completely anonymous and gradually move through peripheral awareness towards the center of your awareness. You see a given individual being referenced by more and more people you trust. You see the name of a given start-up mentioned in more of your usual sources. At some point in that process you make the conscious decision to follow, join, buy, etc. When we aren’t forced to make rushed decisions the proxies act less as primary decision making criteria and more appropriate as sources of context or (as you suggest) search and discovery filters. Thanks for the thoughts, Gregory. Always thought-provoking. Of course, you’re right on with the point about Klout being built for marketers. What other kind of business model would work for something like this? The same is true for Peer Index. Here’s the Peer Index for business: http://www.peerindex.net/clients and here it is for Klout: http://corp.klout.com/business. Still, if I were a marketer in one of their client organizations and I had to choose between Klout and Peer Index or some service that allowed me to customize the influence variables and integrate that with my CRM, I know what I would choose. I like the peripheral awareness idea. I’m not sure I get the connection between the relative openness of systems and the speed with which we’re forced to make decisions. That said, I think that a more transparent approach to compositing influence variables, such as what I’m proposing here, could – and should – be combined with a more open system – one that would allow us to mix and match the other kinds of variables you cite (like blog comments, Disqus responses, etc.). The more nuanced or subjective the metric, the more complicated it is to use. A klout score may not provide much useful information, but if all you care about is, “who can bribe to create a viral cascade of positive pr?”, then it allows you to make very quick easy decisions. Moreover, those decisions are extraordinarily scalable because you have ranked everyone according to the same context-irrelevant parameters. Nuanced metrics take time to master and do not scale nearly as well. They require you to train yourself to recognize certain patterns and cues, and to apply them to the appropriate situations. That is manageable for individuals like you or I who value the quality of the results provided over the quantity…and who are willing to devote the time necessary to refine our pattern recognition skills. It works less well for the mass-marketer who wants a list of people to spam with offers immediately. Yeah, I see where you’re going. And here’s the thing, these kinds of standards do have their place. One question for you – as someone who thinks a lot about value: I wonder if there’s some role here for the notion of “fungibility” when it comes to these kinds of signals. Reduce it down to one number, sure, but can that number be “converted” into other, more nuanced signals? I think the answer is – no. That it’s a one-way street. You can take a sophisticated metric, and distill it down to some equivalent to the more nuanced one. But once you do that, you can’t transform it back again. Signal is lost in the conversion. There is something to this, however. If you’re Klout, and you decided to adopt an approach like this kind of Influence Tuner, you could do it in such a way that all of the composite measures also produce an equivalent of the Klout score as a secondary product. That helps ensure the value of the original, branded metric. As measures of online social influence begin to play an increasingly important role in real-world decision making, alternatives to the current for-profit social-influence indexing companies become imperative. Is it wise to allow a few companies, who are each vying for control over the online influence analytics market, to wield such power over our lives? I believe that it is time to decentralize social influence (SI) analytics, to create an open standard that any service that chooses can enable. The more services that facilitate social influence analytics across the Web, the more accurate a combined SI Index will be. As it currently stands, Klout and PeerIndex do not capture the full spectrum of online interactions that occur on a daily basis. 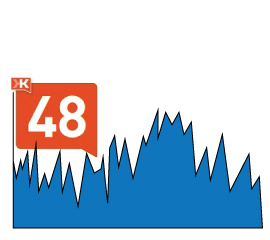 For example, the interaction that we are having on your blog, Gideon, is lost to Klout. Is this interaction less important than what occurs on Twitter and Facebook? With Semantic Web technologies and an open SI standard, SI indices could be continually calculated behind the scenes, pulling relevant data from across the InterWebs and not just a limited sampling from a select few social silos. Furthermore, individuals could have some say in those calculations via a user-centric API that could be accessed via the communication channel that they control (through their website or blog, for instance). This would be the influence tuner you mention above. If I noted that I was going on vacation or a business trip and planned to visit with some of the people with whom I regularly associate in the metaspace, the SI algorithms would “understand” this to mean that equally important, if not more so, interactions in the RW (the meatspace) would be happening over that period of time. This would prevent the influence decay that currently infects services like Klout and PeerIndex. Thanks for stopping by, Jeff, and for the interesting comments. All I can say is “Amen.” Opening all these systems up is going to be critical to the next phase of computing and communications. That includes an open social graph and the kind of decentralized social influence analytics you’re talking about. I was dating someone this summer and my Klout score plummeted. I now see Klout as inversely related to my love life. We broke up and my score rebounded. Having it at 61 is positively depressing! I think there’s an article in there somewhere, Liz, full of charts showing the negative correlation. Sigh…the modern life we live. I liked this idea very much Gordon. Makes a lot of sense. I actually had the same idea. Why not observe people’s impact by what you think is important. In fact, I mentioned this to Klout CEO Joe Fernandez. Not his top priority, but at least it’s out there. Good job on the post! Glad you’ve mentioned this to Joe. Like I say, I have no problem with the company itself. I’m sure it’s a bunch of good, creative folks. Just don’t like how the service is being used today, when something like this is so important and could be doing so much more. I think you raise and important issue and conversation to keep front & center. You and I are intellectually curious and dive into topics & content at deep levels. We process complex data and sythesize it with ease. The people that follow you and I are not as likely to RT or circulate as they are once to chew/process information; not necessarily circulate it. The good news–we offer strategic value. The bad news–it may be harder or more rigorous to get the external validation & acknowledgement that many come easier to others. I want to be a leader. I have no idea who is following me or if in fact I am perceived as valuable to the macro. What I do know is the things I post and circulate are vital to my own journey. Even if no one was watching and/or following and/or RT/post — this material on my stream is personal to me. If it happens to add value to others, it is an excellent bi-product not the goal. I am sure that @ingenesist or someone working in the #socap space is working on algorithms to measure even deeper intangibles. I do care who follows me. But the credibility and the depth of those who call me to get my perspective prior to making life changing strategic decisions is all the proof I need that my work is making impact. About a month back, I was thinking some of these same things and started to write a piece called “People Are Not Social Media Objects” – but I just ran out of steam. Perhaps part of me was feeling a bit hypocritical, I don’t know. I may clean it up and publish it later – this post of yours as inspiration. I do think that a lot of this comes down to falling into the trap of treating people as objects, rather than real people. Klout, PeerIndex and other similar efforts have a tendency to reinforce that kind of aberrant behavior. Thanks for bringing this up, Jennifer.